I was really worried about my decision to have Honey glazed spiral cut ham for Easter this year, not the meat of choice in our family. We usually always have lamb for Easter. This year everyone wanted to try a honey glazed ham since we heard so much about it. To my surprise, it was super delicious, melted in our mouth, soft tender and sweet, a great start to the Easter dinner with a few good men! I was shocked on how tasty it was. I really loved this recipe and wanted to share it with everyone. It is super easy and the ingredients compliment the ham perfectly. We didn't miss having lamb at all! Our traditional Easter Dinner is Homemade Cavatelli, Leg of Lamb, Rice Almondine Marsala, Broccoli Casserole, Italian Cassata Cheesecake, Italian Soft Cookies. Since I had to work this year, I had to prepare yesterday for Sunday, so all I had to do is heat things up when I got home. Just a simple quick dinner for four. Everything turned out great! The reason besides working on Easter this year I didn't cook the traditional foods today, is that my whole family from Upstate NY is coming in two weeks, so we will have our "real" Easter reunion dinner late. I am so excited to see all of them. Most of this crew of twenty, haven't been here since 1999. Wow, time goes by so fast! Most everything is already made and in the freezer waiting for them to all get here! The ham was lean everywhere else but that one spot. The honey caramelized top and pineapple made this a perfect coating. Put in 350 (basting occasionally), follow directions on spiral cut ham per pound cooking times. Do not carve the ham for 20 minutes. That ham does look super juicy! I'd really love to get my hands on that amazing toffee cheesecake though! Happy Easter to you and your family! The ham and cheesecake looks DELICIOUS! all is gorgeous!included your husband and the sons! I dont really care about the fat! Look at that perfectly cooked ham, it's simply too awesome! What a beautiful family you have! If the ham tasted half as good as it looked (which I am positive it did), your family had such a wonderful meal! Happy Easter! what a wonderful menu Claudia, and what a wonderful family. I am sure it has been a Happy Easter! Good Lord Claudia, you truly are a kitchen goddess! I'm in awe of all you do for your family! The ham and cheesecake are to die for!! 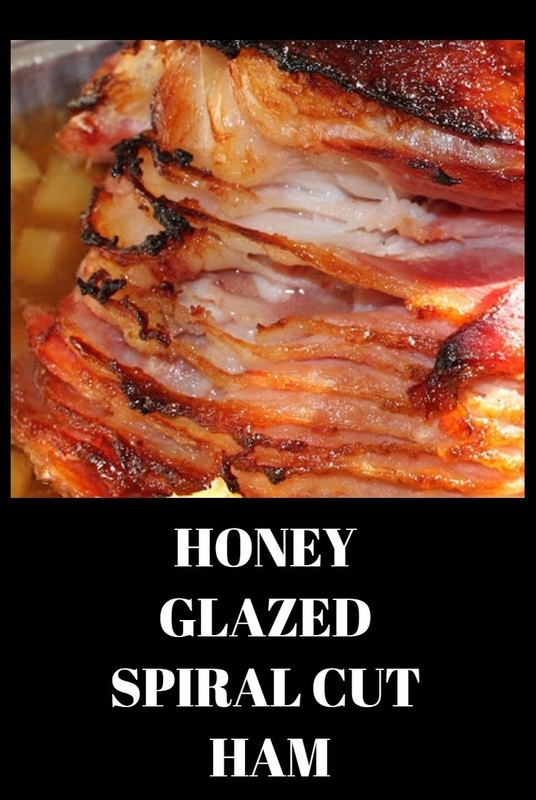 The ham looks incredible with the honey glaze, what a wonderful feast! What a beautiful ham! I hope you had a happy Easter. All is beautiful - but the most gorgeous - the smiles on the family. Sometimes it is good to play with a traditon - you never know what will be newly created. And loved. What a gorgeous feast! I cannot seem to take my eyes off of that ham. I hope you had a wonderful holiday. I could smell that ham through my monitor. Yum! Honest to goodness Claudia, What a phenomenal spread you did for Easter! The ham and cheesecake are amazing. What a lovely way to share this holiday with your family. Fantastic...I wish I could jump into my screen and start chowing down! Happy Easter! Everything looks gorgeous! amazing Claudia! Work and cooking too! Looks great. You're not watching Butler vs Duke tonight???? Wow, that ham looks so delicious. Your whole meal looks wonderful. Thanks for sharing it all....great recipes. Two sons and a DH, no wonder I relate to you so well. I am the same. The ham looks superb Claudia! We usually cook ham for Christmas and when I saw this my eyes glazed over. I am going to try your version of the glaze this year. I'm glad your ham was a hit and your sides look delicious as well!